Over the last year, there have been debates amongst mostly non-white vegans and non-white animal rights folks about how “intersectionality” has been co-opted by mainstream veganism and has lost its original intention and meaning. Furthermore, there is suggestion that “intersectionality” doesn’t dismantle systems of oppression, it just shows how either social identities and/or struggles are “connected” (i.e., one isn’t “just” Black, but that their Black identity is influenced by sexual orientation, gender, socio-economic class, ability, etc). Why do I start with “Intersectionality” , despite there being a rising backlash against it by many non-white anti-racism activists (vegan and non-vegan)? I start with “intersectionality” because most people in the USA do not have a literacy around reality beyond a ‘one-dimensional’ approach. I can’t just jump into Black Marxism or decolonial world systems analysis without using “intersectionality” as a “bridge” and a way to move beyond one-dimensional or binary ways of trying to understand history, politics, economics, the food system, law, etc. Most of my work over the last decade uses “intersectionality” but is not bound to it or limited by it; it’s one of many pedagogies I use (others are Engaged buddhism, Black Marxism, Decolonial World Systems Analysis, ). I am employing Intersectionality because I am getting ready to set up the next phase of action—> which is to then “decolonize” and “dismantle” this current inequitable system. I find that most people I work with or talk to cannot dive into decolonizing and dismantling this oppressive system that currently has existed for 500+ years (at least here in the USA) until I first begin with “basic” concepts that social-identities are not existing in a vacuum, void from being affected by and affecting a “system.” The goal is not to get “stuck” in swirling around in making a game out of how “everything is connected” (i.e. intersectionality) without taking the plunge to dismantle it; even if it means for many of the white racial status quo to give up their possessive investment in whiteness ( I mention the racial aspect of oppression first because I come from a critical race studies and anti-racism background as it relates to my ethical consumption scholarship and have written about possessive investment of whiteness within the ethical vegan movement). Step One: We live in an inequitable system and are not post-racial. Our identities are not monolithic or stagnant. Step Two: We don’t live in a post-racial society: racism and white supremacy in the USA are systemic, endemic, and normalized. I address the delusion that we live in a “the post-racial” USA and debunk it. Then, I show that the reality of racism is one piece of many parts of an oppressive system (this is how intersectionality comes into play with my pedagogical style). I show that racism doesn’t operate in a vacuum (nor is it just an individual act by a self proclaimed Nazi) but that it is actually systemic racism and is one of many moving parts within a neoliberal capitalist moral system. For example, racism needs to exist to benefit capitalism (even “green” capitalism that ethical consumption like veganism is a part of). 3. Step Three: Now that my students know what intersectionality is (through a talk, writing, or workshop I give), I tell them that one needs to take the next stop to abolish the current system of oppression to make real equitable changes because the taken for granted neoliberal [capitalist] approach to ‘equality’ and ‘social impact’ will never alleviate suffering, exploitation, etc of human and non-human animals. You just can’t learn about intersectionality as some fun exercise to analyze the world or make fun connections like a puzzle game. Now you have learned that it’s all connected to the wheel of neoliberal capitalism/neo-colonialism you need to take next steps need to be something outside of neoliberal capitalist solutions. For example: Decolonization, Black Marxism, for example. I come from the camp of “intersectionality” as used by and mostly for the unique situation that Black women in the USA were in (and currently continue to be) when Crenshaw first coined the concept several decades ago (when it was not hip for white folk to use, period). 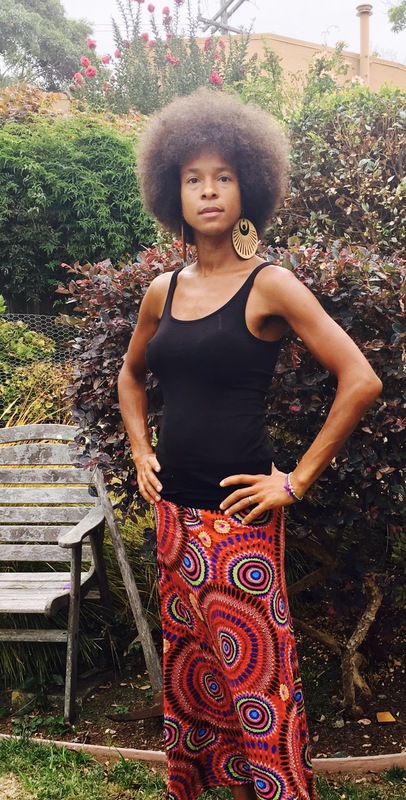 For me, my engagement with Crenshaw’s intersectionality is in continuation of and part of the Black radical tradition and even Black Marxist roots I come from– as thousands of Black women are aware that sexism, poverty, anti-black racism, white supremacy are a result of a CAPITALIST/NEOCOLONIAL arrangement of power, resources, rights, etc. I’d argue that our collective intersectionality is not the same as the one that is now hip and even lucrative for white mainstream businesses and organizations to employ. It’s more like a cosmetic diversity “add-on” that is a façade and even used many times of cultural capital for those least likely to be negatively affected by systemic racism. However, do I abandon “intersectionality” now just because it is being ‘co-opted’ more and more by a status quo the uses it in a ‘trendy’ way but still doesn’t truly want to demolish capitalism and covert-systemic forms of white supremacy ? 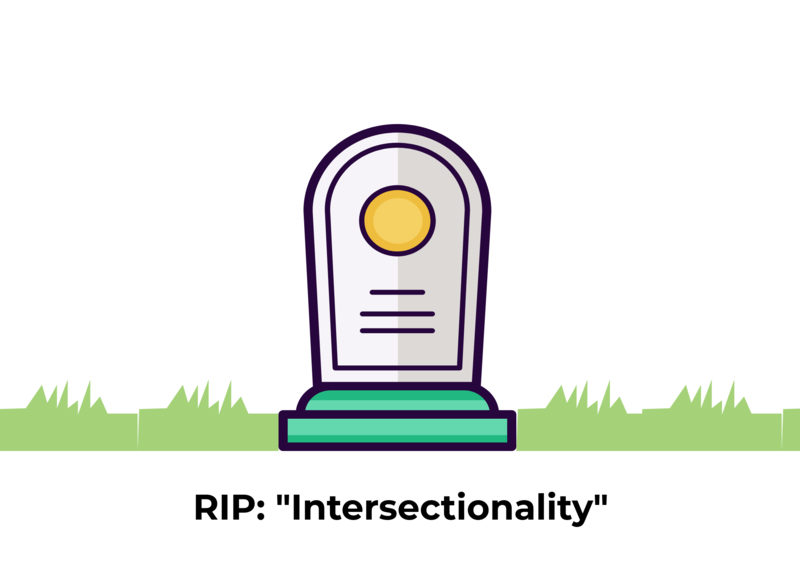 RIP Intersectionality? Nah, I am not ready to bury it just yet….